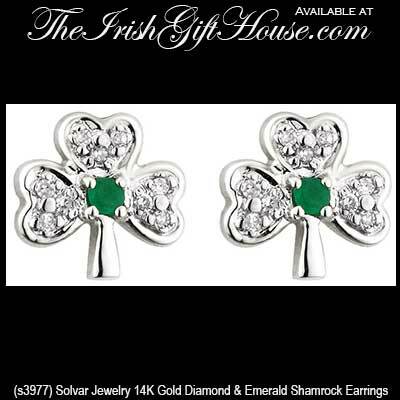 These 14K white gold shamrock earrings are enhanced with an emerald in the center along with diamond studded leaves. The emerald weight is 0.074ct and the diamond weight is 0.027ct. 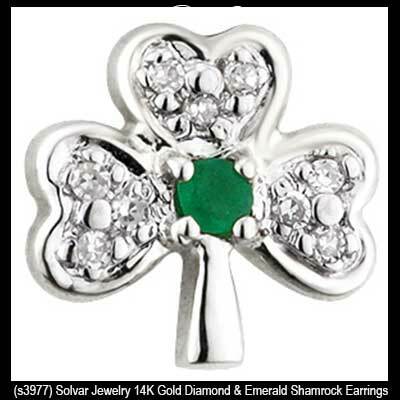 The shamrock stud earrings are on posts with push on butterfly backs; they measure 3/8" wide x 3/8" tall.